Unfortunately, I was not introduced to aural skills through independent study until I was in college. I wanted better for my students, and have regularly included 2-5 minutes of aural training in my lessons with them. Here is an ear training manipulative that I created for my students. It is simply two large measures for piano with no music written inside. I printed this out on cardstock and then laminated it, which essentially turned the card into a white board. I was able to let my students write on it with crayon (washable crayon also works), and then wipe it off with a piece of scrap cloth I made from an old T-shirt. You can also use pennies or glass pebbles from the dollar store to mark the notes, as rhythm is not part of this exercise. 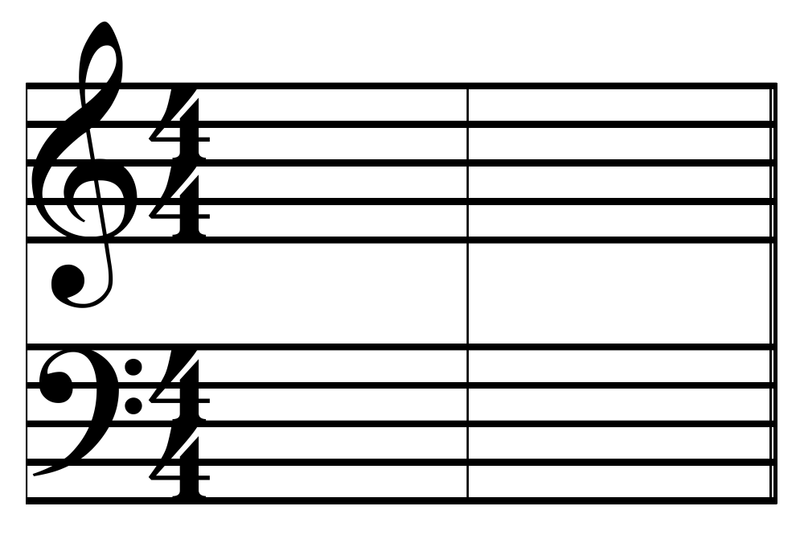 To use the board, I would give the students the first note, and ask them to produce the second on the board after they heard me play it. I started with simple intervals and progressively got harder. 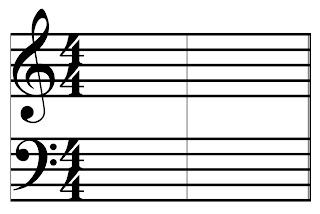 After they had a firm understanding of melodic intervals (the notes were played one at a time), I made the exercise harder by playing melodic sequences, and for my more advanced students, I introduced harmonic intervals, giving them the lower note, but playing both notes at the same time. My challenge: Find ways that you can help your student/child's musical ear become more sophisticated, and begin working with them on a consistent basis.